Premium, luxury, preeminent, supreme, unparalleled, paramount, primo, leading, first-class, finest, precious, life-like, extravagant, etc. Get ready because you’re looking at the most performance you can get out of an inwall design before paying exotic prices. This line delivers luxury fulfillment of life-like audio reproduction. Envision a home theater capable of immersing you into the true embodiment of the movie director’s dream. Exceptional low end fidelity for the most intense musical or theatrical pieces created by Provlar™ woofers. Our improved version of Kevlar, introduced in 2010. Vivid high end and unassuming midrange performance for greater accuracy and more life-like imaging, taming the shrillish properties of typical Titanium with Zelenium-Dome™tweeters. Our improved version of Titanium, also introduced in 2010. "Finally, our flagship line of speakers are here! This HD line of speakers are very good....and very good for the price. We should sell these for more, but we can't in good conscience. Factory direct from a strong retailer is your best bet these days...no middle-man"
This comparison illustrates InwallTech's principles of making the most of materials available to get audiophile quality keeping pricing at affordable levels giving you the most purchasing power when shopping for inwall speakers. -Crossover: Phonalic Heavy Duty Reinforced PCB board, independent 12 db woofer section, 12 db tweeter section, Polyimide auto protect over power reset automatic switch, Gold plated terminal posts will accept up to 14 AWG wire. -Overall Dimensions: 9 3/8" x 5 1/4"
-Overall Dimensions: 9 1/2"x 4 1/2"
Average Rating: 5 of 5 Total Reviews: 38 Write a review. This is the second order I have placed for the second of my own house installations. These speakers are fantastic! Can't recommend them more highly for anyone looking for an in wall / ceiling solution for their house. They rock the place! thank you in-wallstore you are the best! I came across this company and pondered buying for over a year. I finally bit the bullet and have been extremely satisfied. I’ve been using these for the past 18 months and couldn’t be happier. Since my house was pre-wired for ceiling mounts I really doubted the sound would be as good as my old free standing speakers. Again, these speakers are great. You can’t even tell the sound is coming from above. Also, if you have questions, their customer service gets back to you very quickly. I wouldn’t hesitate to buy these again. High quality, easy installation, sound as good as any brand name you can find. And what makes it sound even better is the price. I have been blessed enough to purchase many High End Stereo models throughout my 56 years. I must say my experience with the Inwall Store was too a blessing. Every step of the online communication process, phone calls to learn, and asking many questions to help me be an informed consumer, was met with professional knowledge, patience without the hard sale tactics, and a level of honesty that I have not experienced from other retail stores. What impressed me the most is when there were a moment of miscommunication, the sales Manager did not make excuses or try to pass the buck, but rather sought out solutions, with the focus on how I felt. I was able to purchase five of the best speakers at an affordable price and the biggest smile possible. 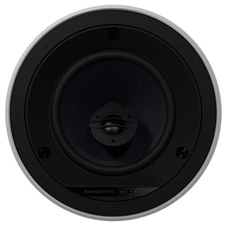 You cannot do better than Inwall Speakers.